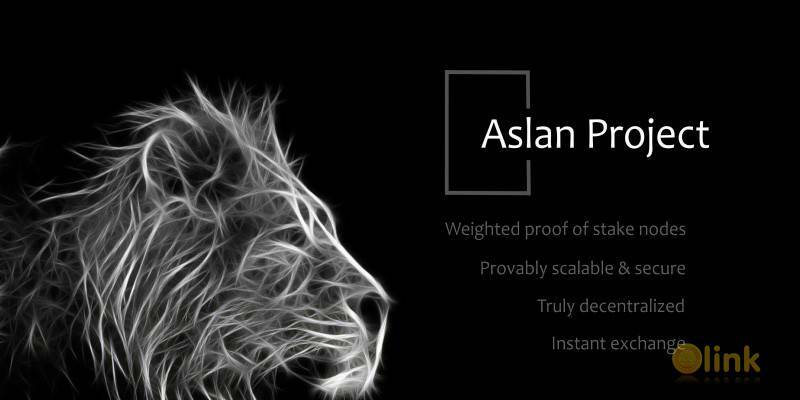 Aslan Project is the first truly scalable Blockchain as a Service platform based on a full Proof of Stake Consensus Network. Aslan offers simple to deploy - three click - Lightweight Smart Contracts and has in wallet fully developed features such as built-in Voting, Messaging, Marketplace, Cloud Storage and Instant Exchange. The Aslan Project marketplace has trustless escrow services to keep all parties safe. It can be utilised by government, private industry and individuals. Use cases include data science, cyber security, strategy & governance. ✅ COMMENTS: ICO "Aslan Project"